Plaque seen on a winnower c early 1920's. 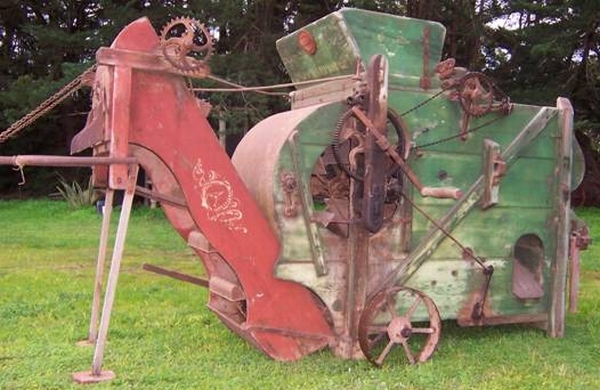 Bagshaw, John Stokes (1808 - 1888) ), manufacturer of agricultural machinery, was born at Chetwynd, Shropshire, England. 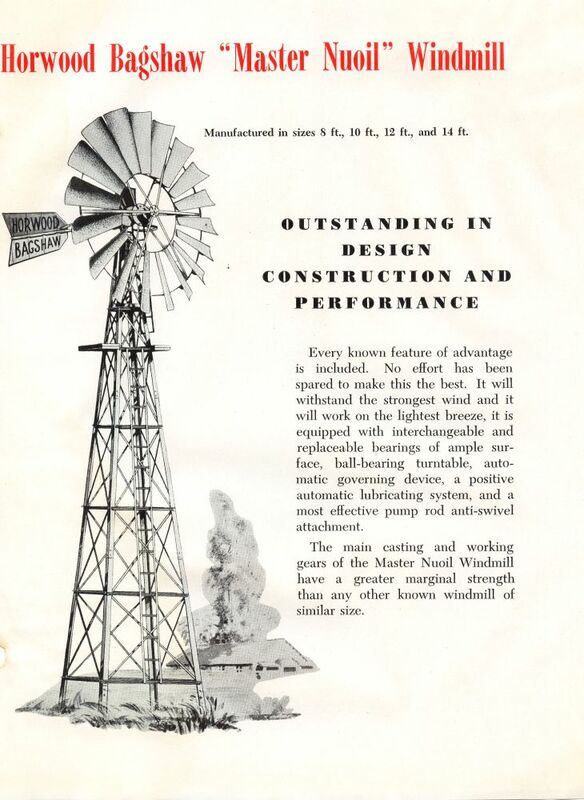 At an early age he showed mechanical aptitude and was apprenticed to a millwright and engineer. He first settled south of Adelaide and helped to build flour-mills at Noarlunga, Port Noarlunga and Encounter Bay. He then joined the small number of mechanics who established workshops in country centres to cater for farmers' mechanical needs. At this time agriculture was just beginning in South Australia; favoured by climate, soil and geographical position, the area under wheat soon extended but when immigration stopped in 1841, the shortage of agricultural labourers became serious and resulted in several harvesting crises. 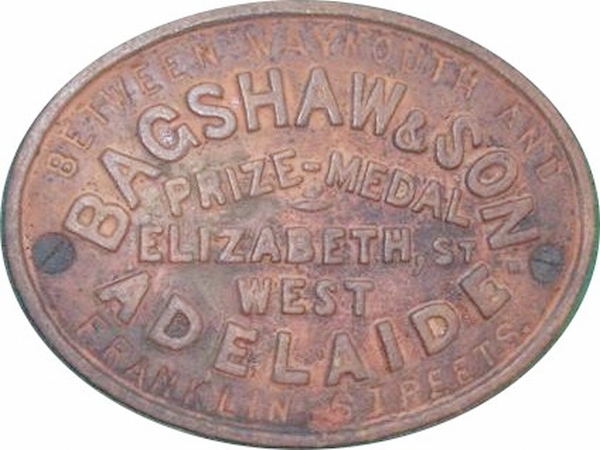 Farmers were anxiously searching for mechanical labour-saving devices, and Bagshaw was one of the resourceful men who were able to meet their needs. By 1839 he had established an agricultural implement workshop at Elizabeth Street in Adelaide, later extending it to Crowther Street. 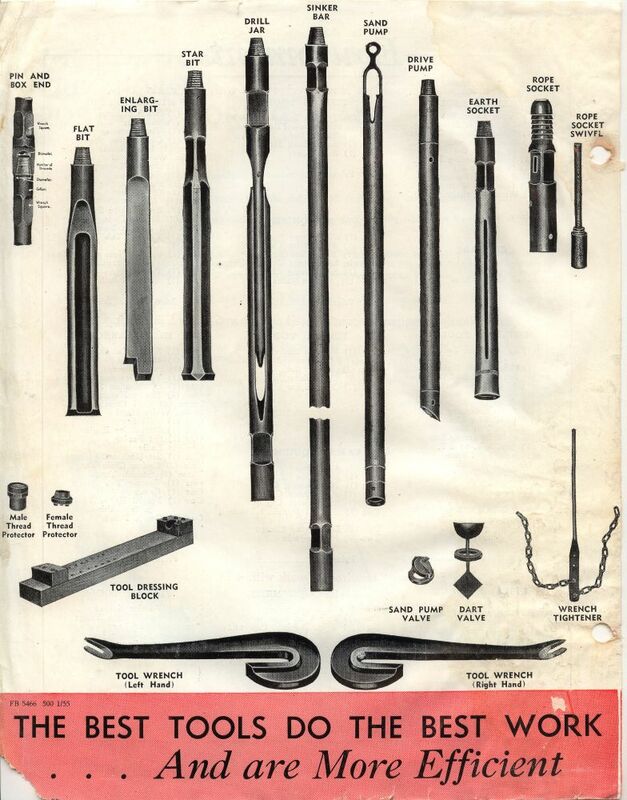 He manufactured horse-ploughs, chaffcutters and corncrushers. He won public recognition by building for John Ridley the first harvesting machine; it could strip six acres (2.4 ha) of wheat a day. He then designed and produced the first winnowing machine in Australia. It became his speciality and he produced more than two hundred. They each sold for £17 under the trade mark of 'Champion'. Machinery for flour-mills, pumping and drilling was gradually added to his firm's activities and in 1870 the name of J. S. Bagshaw & Sons was changed to the Pioneer Works. His eldest son, John Augustus, was also a skilful engineer and inventor; he entered the business at an early age and was later joined by his younger brother, Thomas Henry. William, the third son, spent only a short time with the firm and settled on land at Christies Beach. 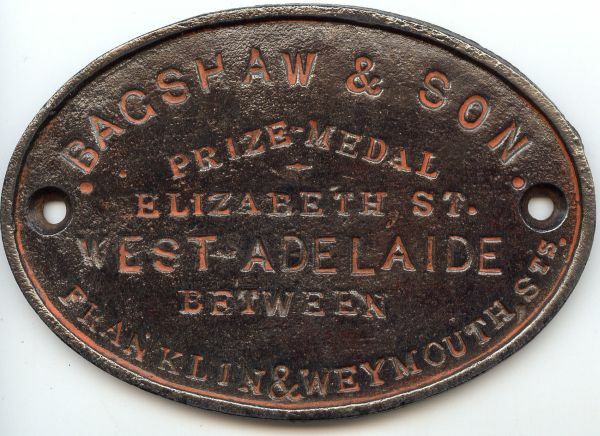 Bagshaw left a well-established business to his family. 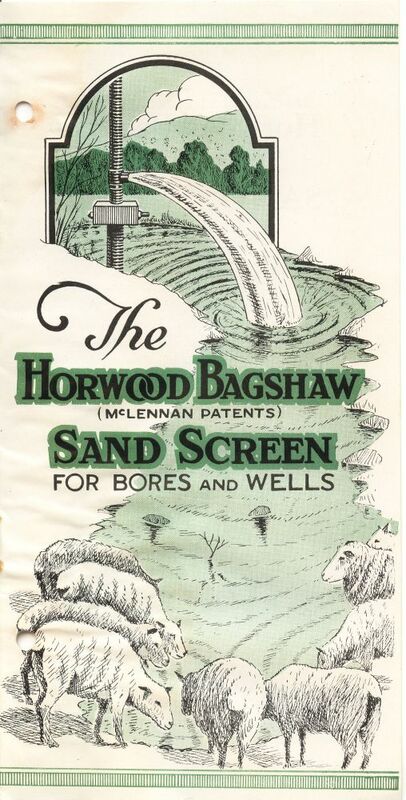 In 1912 the company bought a site at Mile End and in 1924, when J. H. Horwood joined the firm, it became known as Horwood Bagshaw Ltd..
Horwood, Joseph Henry founded J.H. 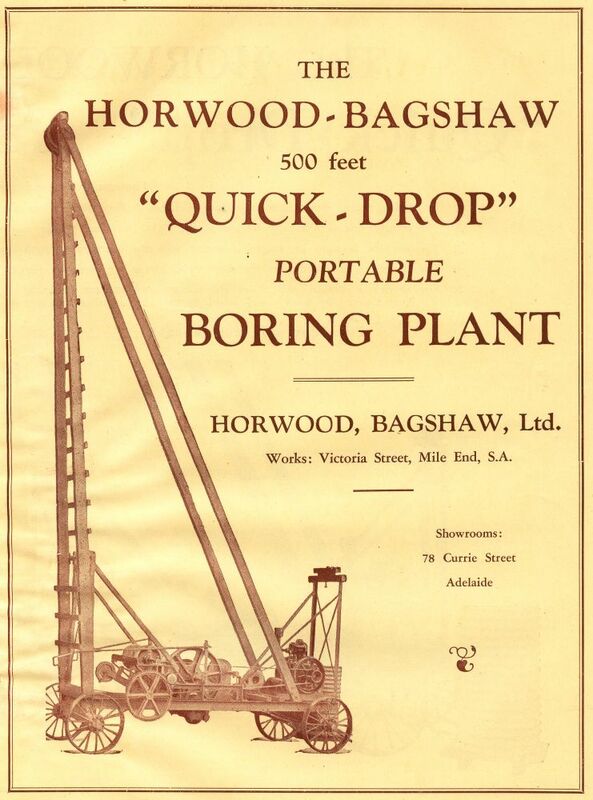 Horwood & Co., machinery merchants in Adelaide. A limited company formed in 1912. J.S. 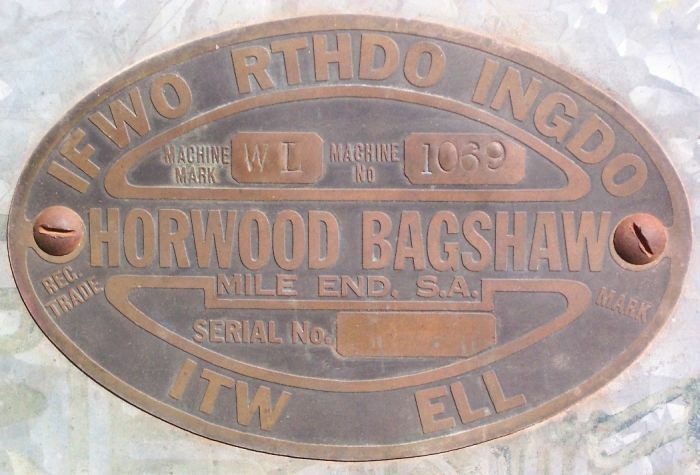 Bagshaw & Sons Ltd was acquired in 1924 and the business became Horwood Bagshaw Australia Limited. 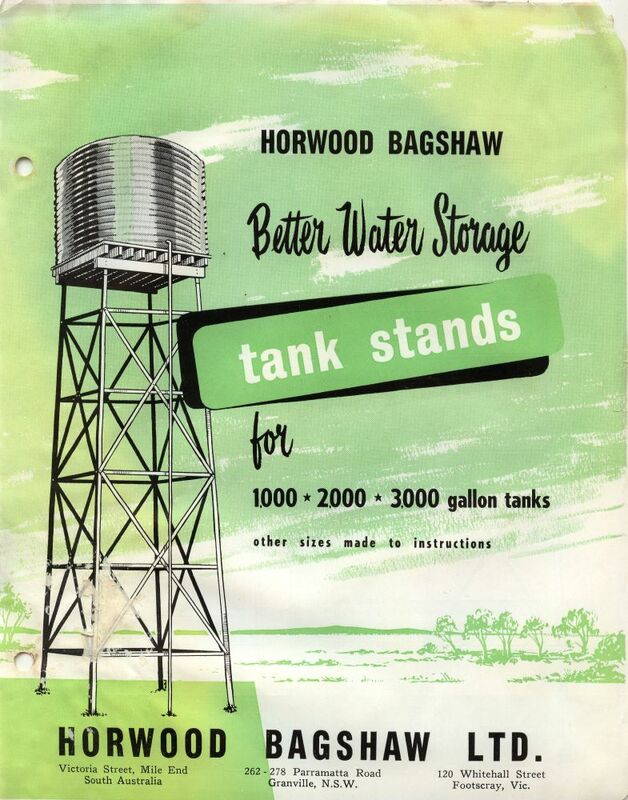 The Horwood Bagshaw Company went on to take over a large part of Australia's agricultural manufacturing concerns. 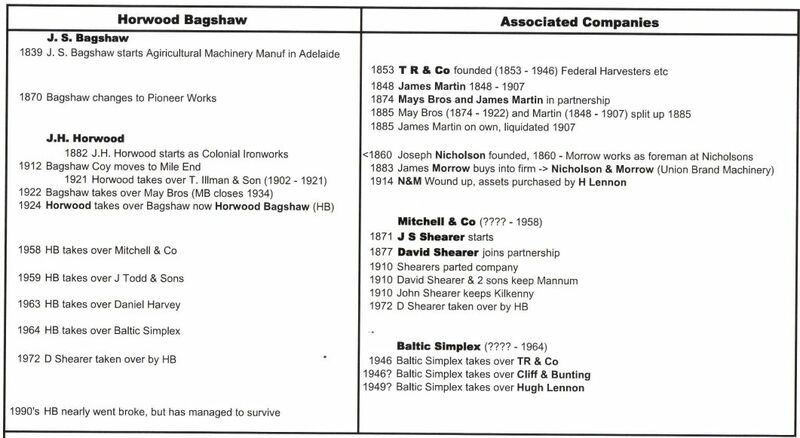 Some other Companies that went into the final mix that was Horwood Bagshaw either directly or indirectly were: May Bros, TR & Co, Nicholson & Morrow, Mitchell & Co, David Shearer, Cliff & Bunting, Hugh Lennon, Baltic Simplex, J Todd & Sons and no doubt several others. Horwood Bagshaw Makers Plate, see also next pic (courtesy Ian Ploenges), note Jeff Holly dates this to around 1881. Horwood Bagshaw Makers Plate on an early Winnower, (pic courtesy Ian Ploenges), note Jeff Holly dates this to around 1881.